The Hush Minoan Partnership has extensive experience delivering retail, leisure and commercial mini and adventure golf projects across a range of both size and complexity. With our extensive experience grounded in providing turnkey solutions in the management of leisure projects and roll out programmes. We believe we are uniquely placed amongst our peers in that the principals in our company have 'first hand' experience of delivering ALL aspects of Adventure Golf and Mini Golf Course management and construction to suit all budgets. Our policy is always to be straightforward, open and honest such that clients can plan and make decisions based on robust information. Our goal is to provide reasoned solutions balanced with high levels of certainty and reduced risk. 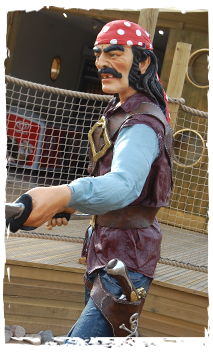 We always believe in a taking a common sense professional approach to Adventure Golf Course design is underpinned by providing clear direction, sound advice, regular communications and appropriate, informative reporting. Our business philosophy has been to deliberately keep ourselves small, sharp and agile. Aside from the commercial benefits such as competitiveness, low overheads etc. we believe this enables us to provide our clients with a very personal and focussed Adventure Golf Course design and delivery service. To date ALL of our golf course design business has been generated by personal recommendation or referral and we are rightly proud that our previous clients have a level of confidence in our performance such that they are prepared to commend our mini golf design and construction services to others.